Jeremy Renner posted a picture of the original 6 Avengers on social media in a direct threat to Thanos. Avengers: Endgame sees the return of Renner's Hawkeye, who is taking on the Ronin identity in the upcoming highly anticipated sequel. Hawkeye, aka Clint Barton, was on home confinement due to the conclusion of Captain America: Civil War like Scott Lang was. Unlike Lang, we don't know what Barton was up to during the events of Infinity War, but it looks like we're about to find out. With the release of Avengers: Endgame nearly a month away, Marvel Cinematic Universe fans are starting to get pretty excited and they're not alone. The actors from the movie are also getting pretty hyped for the fans to finally see the culmination of 11 years of the MCU. With that being said, Jeremy Renner posted a picture of the original 6 Avengers on Instagram with a warning to Josh Brolin's Thanos. The caption reads, "Dear Thanos, we're coming for you... Sincerely A6!" Renner then used the hashtag: "Whatever IT Takes," which is some dialogue from the recent Endgame TV spot. 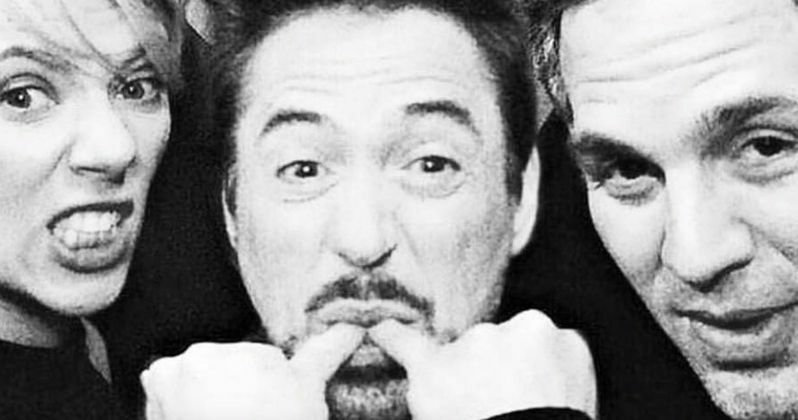 Josh Brolin was in a similar situation at this time last year, but he was taunting his fellow Infinity War stars. He has been mostly quiet except for jokingly threatening Dwayne "The Rock" Johnson and suggesting that the original Avengers should move on when posting the Avengers: Endgame trailer. The original 6 do have a score to settle after the Mad Titan wiped out half of the universe and it seems that they're committed to do whatever it takes to reverse the Decimation and take down Thanos once and for all. As to how Avengers: Endgame is going to work, that is still very much a mystery. While the trailers seem to tease possible different timelines, the Russo Brothers have admitted to throwing footage into the promotional material that won't end up in the final cut to throw MCU fans off of the scent. While the Quantum Realm appears to be the answer to all of their problems, the Russos may just want us to believe that theory for the time being, only to rip the carpet out from under us when the movie finally hits theaters next month. Jeremy Renner is back after not being seen since Captain America: Civil War. From the Avengers: Endgame trailers and TV spots, he seems to be out for revenge as Ronin, but he may still be pretty angry from the events of Civil War too. A lot has happened since the Avengers splintered, but they're all going to have to unite if they want to have a chance at taking down Thanos with their new friend Captain Marvel. We'll just have to wait and see how the team settles their differences when Endgame debuts in theaters on April 26th. You can check out the Thanos threat below, thanks to Jeremy Renner's Instagram account.